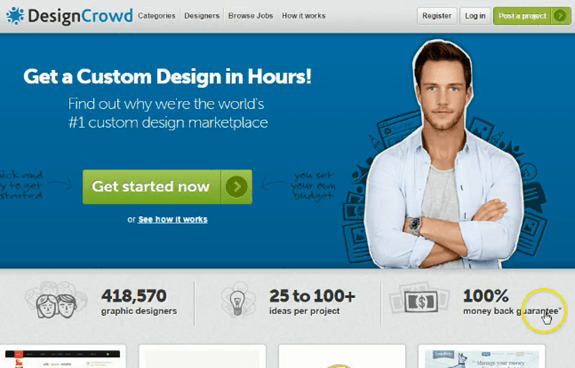 Want great ideas for improving your website to get more sales or leads? From your current traffic levels? For inspiration and ideas to improve your website, look no further than these 10 best practices from high-converting websites like Moz.com and GetResponse.com. 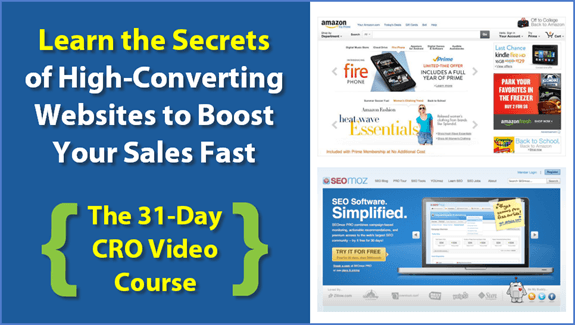 These are just 10 of over 80 high-converting websites I discuss in my new website sales-boosting course. These 10 best practices show screen shots and animated images of many aspects of their websites, like optimized call-to-action buttons, highly engaging headlines, and clear value proposition/benefits. I recommend testing different aspects of these best practice examples in your website and see which converts more visitors into sales or leads – and learning from more best practices! 1: SiDigital.co – this web agency makes excellent of use of animation to tell a story and build value proposition on their homepage, ending with a strong call-to-action at the end of the page. A breath of high-converting homepage fresh air! 2: VWO.com – this A/B testing tool site makes great use of a powerful animated intro video to explain benefits, and is prominently shown on the homepage to gain maximum exposure. It’s also less than 2 minutes to ensure its fully watched – another best practice. 3. 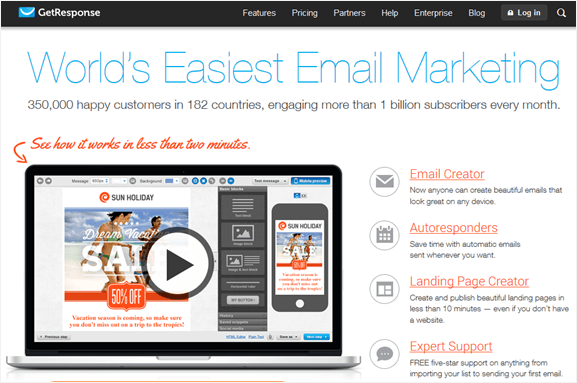 GetResponse.com – this email marketing tool homepage features a really awesome powerful headline and subheader that uses strong usage numbers to build social proof. They also have a great intro video and short bullet points explaining key features. 4. WebSynthesis.com – this hosting website from the folks behind CopyBlogger.com have really excellent use of homepage headline and module to clearly explain unique value proposition (in particular why pick them versus another host). Essential in a competitive market like this. 5. 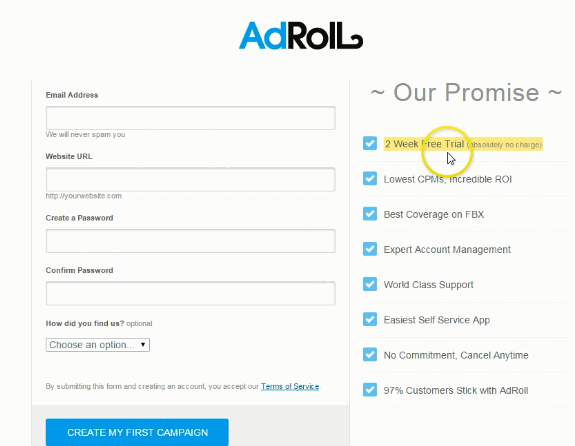 Moz.com – this well-known website has a really strong call-to-action button on their homepage that includes risk reducer messaging (free trial), plus a great alternative text call-to-action under it if visitor isn’t ready to take a trial yet. 6. Unbounce.com – this landing page tool website features many conversion best practices, but in particular has excellent use of homepage testimonials to build social proof, featuring both video and expert testimonials. The client logos help to boost their social proof even further. 7. DesignCrowd.co.uk – this website’s homepage does a great job of using a really influential prominent risk reducer – offering 100% money back guarantee (with popup when clicked to explain more). Certainly increases conversions and signups! 8. InMotionHosting.com – this hosting company website makes awesome use of helpful tables to show unique value proposition on their features page, including comparisons to their major competitors. Anyone selling services should feature a comparison table like this to boost sales – excellent stuff. 10. ContentMarketingInstitute.com – the blog for this website features a really good example of an uncluttered side bar focused on key useful content (apart from the survey), with a great opt-in box at the top featuring excellent usage numbers to build social proof. Looking for more best practice websites? 70 others are covered in my conversion rate optimization course, along with many CRO, web analytics and A/B testing best practices. It features over 6 hours of video to help you quickly gain more sales, leads or subscribers from your website – without needing more traffic. Hope you enjoyed the best practices in this article, and I hope to see you inside the course real soon – you are going to love it! It already has many 5 star reviews. Wow – impressive Rich. I particularly liked the animated screenshots of some of them – very neat. Your course sounds interesting too. 6 hours of video must have taken you a long time to create! Thanks John! Glad you liked it. Yeah the course took months to make. Hope to see you inside it soon! Fantastic ! Screenshots are awesome!